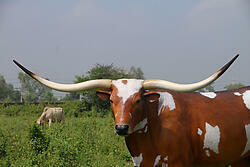 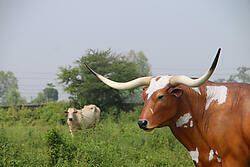 Texas longhorns are well known for their beautiful impressive horns. 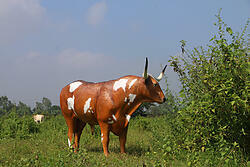 This is a life size replica that is sure to spark a conversation. 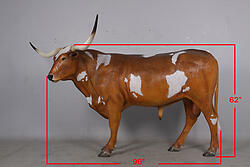 The longhorn can be placed in your business, used for a themed event, or placed right in your backyard. 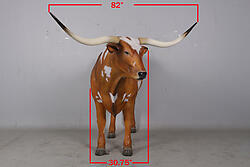 This beautiful collectible is constructed from a resin mold and then hand painted to show case great detail allowing it to blend well with its natural surroundings.